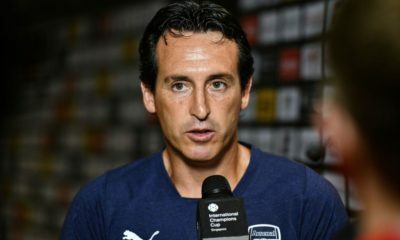 In the excitement of the new season, supporters are often guilty of creating over-the-top expectations and landing up disappointed when the clubs fail to meet those supposed objectives. 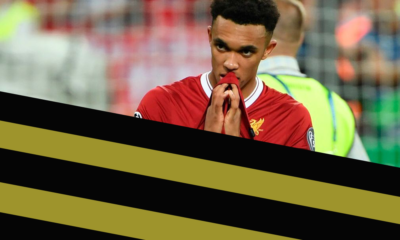 Often all we need is a bit of perspective from experts to maintain rational thought; our Q&A mini-series going into the 2014/15 season serves this purpose. 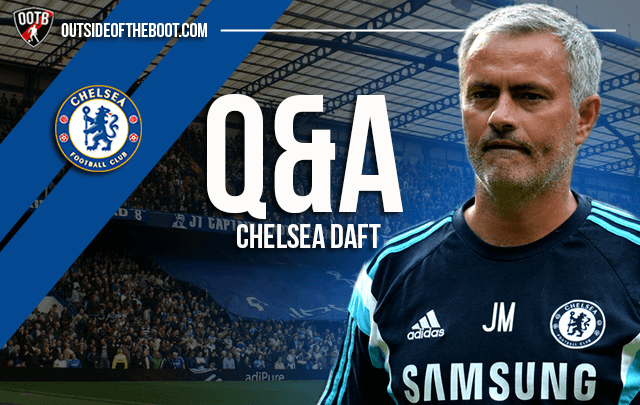 CD of Chelsea Daft answered our questions on Chelsea ahead of the new season. Chelsea Daft is an award winning blog dedicated to the London club; CD is also an official Chelsea FC blogger. From Real Madrid to Chelsea, two trophy-less season’s in a row. At the risk of sounding dramatic, is the Special One still ‘special’? I personally believe he is still special and still has that aura about him that makes his players love him and others, want to play for him. You have to remember, last season wasn’t a Jose Mourinho team but for one or two slip ups, he nearly took us to the Premier League title. That’s special enough for me. This past summer transfer window saw Chelsea let go of Ashley Cole with Filipe Luis being signed as a replacement. It means that Azpilicueta won’t be playing that left-back role, but is he now ahead of Ivanovic on the other side? I believe that it’s not as cut and dried as that. Mourinho likes the option of Azpilicueta on both sides. Luis may take some time to get used of the pace and power of our game so Azpi remains an option. I also believe the formation the manager decides to adopt will dictate who starts. If he switches to 4-3-3 then Azpi and Luis will start. The Fabregas that left Arsenal was a world beater, and a confident player on top of his game. The Cesc that comes to Chelsea has had a pretty torrid time at his boyhood club. Do you think Chelsea have made a mistake signing the Cesc with his Arsenal stint in mind, or can he still be the stand-out man in midfield? My own personal opinion of Fabregas at Barcelona was that he never seemed to fit in or settle down. Always substituted off or named on the bench, it always seemed to me that they tried to make it work but it didn’t. That’s nothing against Fabregas at all, he was used to playing an instrumental role for years at Arsenal to then becoming a bit part player at Barcelona and it just never seemed to work out. At Chelsea, Fabregas has the chance to become the focal point once again and the early signs are good. Lookout for his understanding and link up play with Diego Costa already. Nemanja Matic took to Chelsea like a duck to water in the second half of the season. How important is he to Blue hopes? Matic has become an integral part of our make up in midfield. Being honest I was surprised to see just how good he had become in that role as I had seen little of him since he left the club. 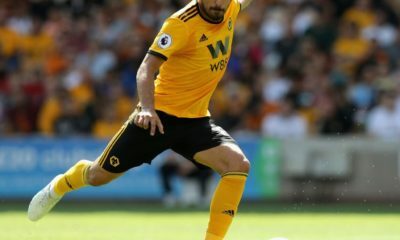 He has a presence in midfield, he is a ball winner but also someone who is so calm and composed with the ball at his feet. Just look at how he dominated YayaToure at Eastlands in the Premier League last season as Chelsea took three points. This season, playing next to Cesc Fabregas, Chelsea have the perfect base to build from. What was the rationale behind bringing back Drogba and letting Lukaku go? If anything, one might say that the younger one, with potential, was traded off for the older one, without potential. Chelsea fans seem to be split down the middle when it comes to Lukaku. I personally championed the fact that he should have kept both with Drogba taking the Belgian under his wing but it has not happened. By all accounts, Lukaku wanted the regular start and he was never going to get that here. Chelsea’s downfall last season in dropping the points we did was because we struggled to break teams down and had no option to change our game, to change the focus of our attacks. Drogba coming back and Costa being signed gives us that. Lukaku for a big man does not hold the ball up well enough at the moment, doesn’t win the headers he should and doesn’t offer Chelsea anything different than what we now have with Costa and Torres. Drogba is a perfect solution. Chelsea and City will most likely be duking it out at the top of the table. While Chelsea didn’t really have the rounded squad like City last season, do they have it this time? Chelsea have a fantastic squad now and will more than compete with City. You have to remember, despite having a squad that was short in certain areas, we beat Man City home and away last season. Now, Jose Mourinho has filled the holes within HIS squad, sold the players that were never part of his plans (for a fortune by the way!) and we now have a much better balance. Although Chelsea did end their Champions League drought, Jose has grown obsessed with winning it at the club, as have supporters. Could this obsession be termed ‘unhealthy’ and have a negative impact on league form as well? Chelsea need to be in the Champions League and have a fantastic record in the competition. You only need to see how many semi finals we have reached in recent seasons, to see just how important the competition has become. I personally believe that it’s the Premier League title, hopefully our first in five seasons, that is the priority this season with the Champions League a close second. Chelsea are in it this season to fight for silverware on all fronts and with a much better balanced squad, with strength in depth, we now have an excellent chance of doing well in both. We track the progress and performances of youngsters with our Talent Radar feature. 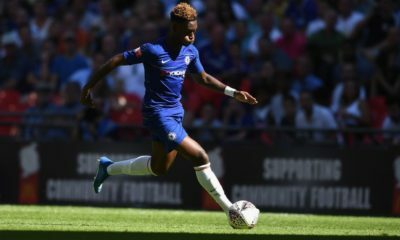 Chelsea have a lot of talented youth, who do well in youth competitions and so on, but end up on loan, and eventually sold. What’s stopping them from breaking into the first team? My personal opinion is that it’s the money in football and the riches for being successful that has stopped the youth team players breaking through at Chelsea. You only have to look at how many managers were sacked when it looked like our Champions League participation was in danger! Chelsea HAVE TO finish inside the top four, that’s the minimum every season and if you remember Carlo Ancelotti’s second season at Chelsea, you will see the answer to your question. In that summer, Chelsea let go as many as FIVE first team players and replaced them with youngsters in the squad. But, when injuries and suspensions hit us hard in the winter, we were beaten 0-3 at home to Sunderland as the squad was not strong enough. It just seems like since that moment, Chelsea will always invest in bringing players in, and young players such as Oscar, Hazard etc, rather than bring youngsters through. However, quotes from Mourinho this pre season indicate that could change in the coming seasons. With that trophy drought in mind, even Chelsea risk going two season’s without silverware. Would that mean another sacking for Mourinho? The appointment of Mourinho this time around is very different from the last. When he first came, his target was Chelsea’s first title in 50 years. Just look at the squad he built and left behind, that went on to continued success in the most successful period of our history. Mourinho has been brought in to rebuild a squad and a team to dominate for the next ten years with the emphasis on finally, given time, bringing the youngsters through into the first team. Read all our articles in our Chelsea blog, Under the Bridge. And all our Expert Q&As.